This week in Quant Humanists we will be thinking about the role of visualization and representation as a way to learn about yourself. In a 2013 Pew Research Center Internet & American Life Project Survey, it was found that 69 % of Americans keep track of health data for themselves or another person, of this 47% do this tracking “in their heads,” 33% on pen and paper, and 20% via a digital surrogate or technology. 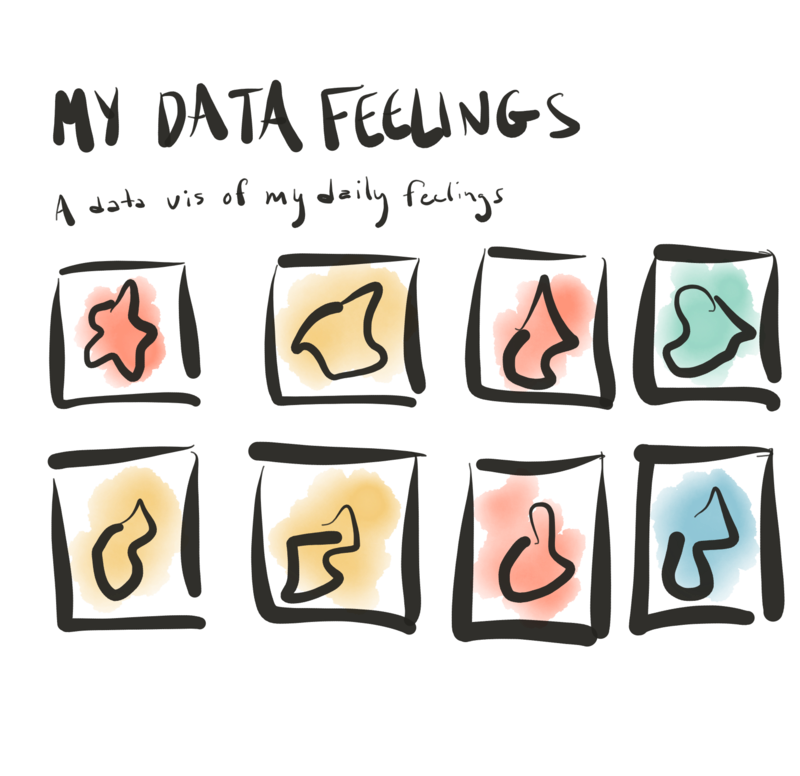 We look at various methods for getting to know yourself through your data such as through hand drawn visualizations, digital/interactive charts and maps, and alternative expressions of data. We dedicate a majority of this class to work through building our own custom data collection and visualization web application. We will work through and discuss together the conceptual and technical details of implementing this application. Neff, Gina., Nafus, Dawn., Self-Tracking, Chapter 3: Making Sense of Data, MIT Essential Knowledge Series. Print Copies available through NYU Library or PDFs though the IEEE Explore Library. You will have 2 weeks to do this assignment! This week you will follow the workshop link below to create your own personal data collection and visualization platform. change the data model or create a new collection: Change the data model by changing the properties in the data model src/models/feelings.model.js. Alternatively you may create an entirely new database by doing feathers generate service and developing another database in which to create your new data collection. create your own visual encodings: with the current data structure or with your newly added database collection and data model, come up with intriguing and meaningful ways to visualize that data. You may use the existing structure of the "small multiples" which show each entry or change up that structure entirely. The key is that you make a GET request to your database and pull data dynamically. Submission: Submit your Github Gist/blog post link as a comment in its respective github issue in the quant-humanists-2019 repository. See NOTE below.